Kabir Marafa, senator representing Zamfara central, has offered Senate President Bukola Saraki another wife. Marafa made the offer while thanking his colleagues for approving a N10 billion intervention fund for Zamfara owing to the insecurity in the state. “I have a mounting order from my constituents to thank you for the efforts we all collectively put in addressing the plight of the people of Zamfara state,” he said. “Mr President, I want to thank you specifically. A lady in my constituency said I should tell you specifically that she has never seen you hit the gavel the way you did yesterday and I should tell you that when you commence your sabbatical, that she has offered herself to marry you, if you so wish. Marafa also thanked President Muhammadu Buhari for intervening in the security situation of the state. “On behalf of all the people of Zamfara state, I want to thank you so much and also the leadership of the senate. Senator Bukar Abba Ibrahim, they wish you a successful retirement as government pikin,” he said. “Senator Shehu Sani, you are legislatively violent with your chairmanship of the committee on foreign and domestic debts and we are all going to be together in retirement, me, you and senator Monsurat. “They said I should tell the chairman of appropriations and members that you have done your utmost best and look forward to your efforts and cooperation. 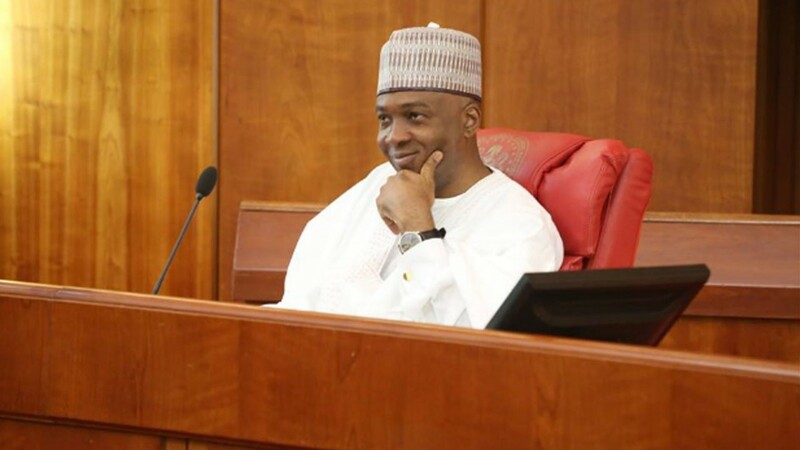 On his part, Saraki appreciated all the senators who contributed to the debate on the insecurity situation in the state and a made case for the funds to be approved.